HISTeria This Weekend at the Tampa Bay History Center! Be There!!! Whatsup erbody! Jerm back here with the daily HISTeria event update! Now by now, you guys have heard about all of the great music/entertainment and food that you get. But wait there&apos;s more! Now many of you may have been wondering what all you get for that ticket price of $50 for entry. Features all the food you can possibly stuff your face with! Complimentary parking to the event. Trust me folks this is a big deal as not every event ticket around town gives this! 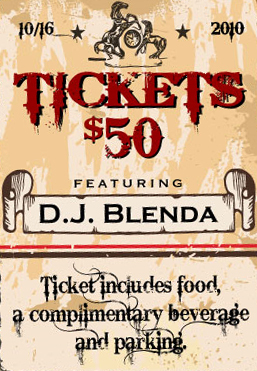 Complimentary beverage ticket to wash down some of that amazing food you will be eating. There will also be a bar on hand for drink purchases, just in case you are like me and one drink won&apos;t be enough! Again, you get to stuff your face with all that you can put on a plate! This ticket not only gets you free parking, but also gets you free valet parking, which is an even sweeter deal! For this you get the complimentary beverage ticket in addition to an extra one to wash down some of that amazing food you will be eating. Now also keep in mind that during the event we will be raffling off some awesome prizes as well donated by some of Tampa Bay&apos;s awesome local businesses! So as you see, there are plenty of reasons to get all dressed up in your best costumes and come out to the Tampa Bay History Center this Saturday and enjoy the fun! Did I mention its for a great cause as well! That&apos;s it for now, but stay tuned in for more Halloween updates on Tampa Bay area events!